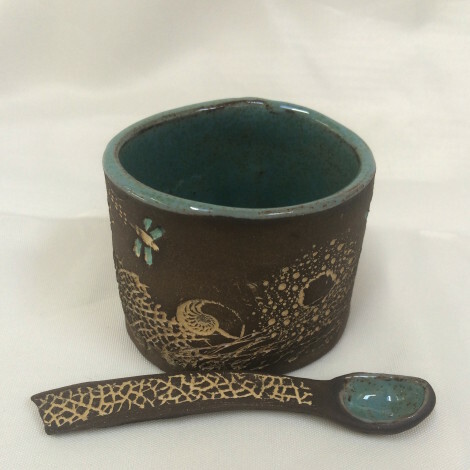 View Cart "Bluebird cup" was successfully added to your cart. 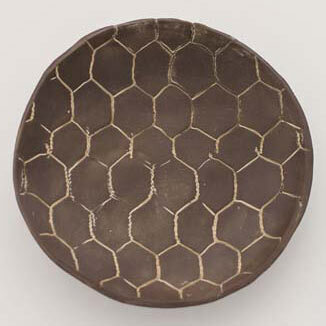 Chocolate Chicken-wire impressed stoneware plate. Aprox.6″ diameter.Looks great with eggs in it!